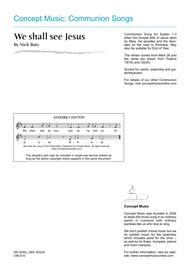 Composed by Nick Baty. 3 pages. Published by Concept Music (S0.131445). 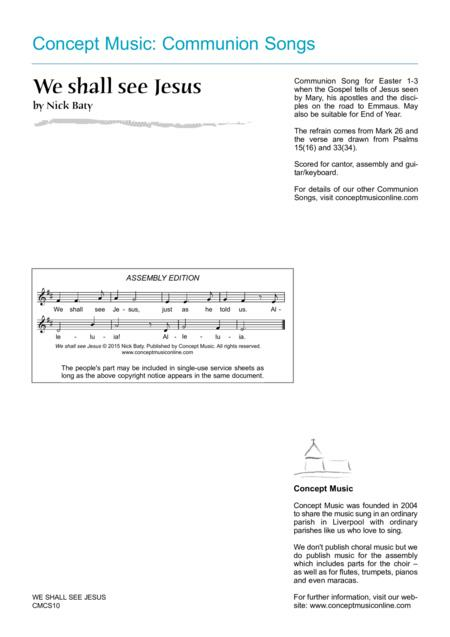 Communion Song for Easter 1-3 when the Gospel tells of Jesus seen by Mary, his apostles and the disciples on the road to Emmaus. May also be suitable for End of Year. The refrain comes from Mark 26 and the verse are drawn from Psalms 15(16) and 33(34). For cantor and assembly.